In fourth grade we were given a set of standardized exams called the Iowa Tests. The reason I remember these was that I scored very well on them. I had no idea that these test results would represent my peak of academic achievement, which is one reason they’re burned into my memory. The other is that we were scored by percentile. Across the board in english, math, reading comprehension, etc., I scored in the 90th percentile, which when explained to me, meant that I scored better than 90% of the people taking the exam. Of course I’ve never found out why they called them the Iowa Tests. Maybe I was just smarter than 90% of the kids my age in Iowa. Looking back on how my intelligence regressed that might be more the case. Yet, for a year or two I experience a Camelot like period of time. For one brief shining moment I could bask in the misplaced thought that I was smarter than the majority of the people around me. I love the percentile system of grading. Getting an A or a 100 on a test is great but it doesn’t tell you where you stand in relation to others. A percentile will tell you how many people are better or worse than you, and honestly, isn’t that what matters? Don’t most of us want to be able to claim we’re at least in the better half? We want the same for our kids. We them to be in the higher percentile. Lots of people have seen my babies and said, “Oh my God! 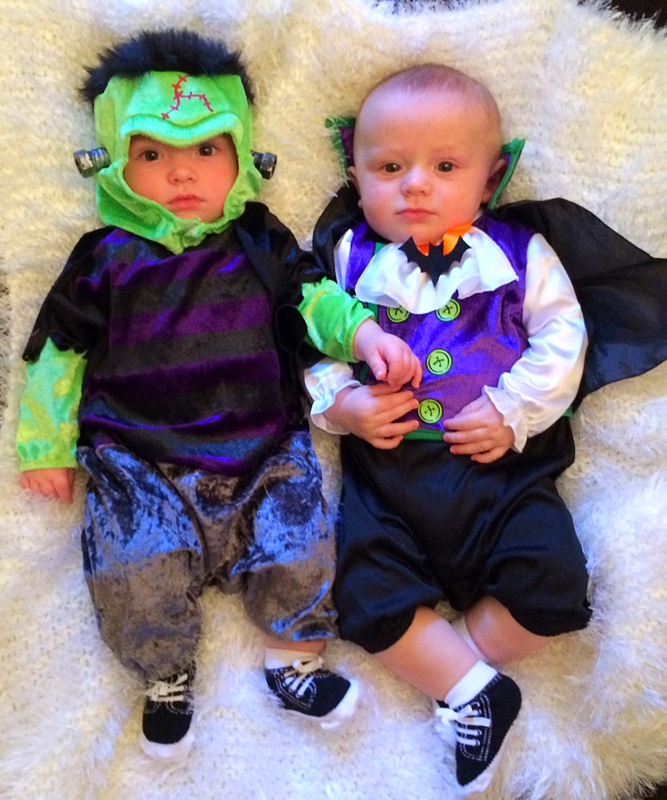 They are the cutest babies I’ve ever seen!” I appreciate their kindness but I doubt their sincerity. That’s just what people feel they need to say. I’d actually be happier with an honest assessment. If someone saw the boys and said, “Wow! Those babies are cuter than 71% of the babies I’ve seen” I’d be delighted. My favorite part of taking the babies to the Doctor is when they show me percentiles. Charles is in the 77th percentile for height and 44th percentile for weight. Arthur is 58th in height and only 20th in weight. That means, so far, my kids are taller and thinner than the competition. Sounds like a recipe for success to me!! But height and weight is as far as they go. Can’t we expand these percentiles to give parents the information they really want to know? Can’t we develop a test that allows a nameless, faceless group of people to tell us where are kids stand in terms of the things that really matter to us? For instance. I’d like to think my kids are above the 75th percentile in cuteness. Of course I have to think about what I’m saying in practical terms. Did half of my genetic code produce children that are better looking than more than 75% of the people in America? It’s a tough call. I look around my office and don’t put myself in the beautiful person category. It’s possible that my wife’s genes overrode mine. I cling to that hope. BUT, if it turned out my kids were only in the 2oth percentile for attractiveness then I could at least focus on making them really really smart to compensate for what they might lack in the looks department. Do you see how valuable these tests would be!? I’ve suspected that Charles was smart for a while now. I think it was the way he obsessively studied his hands like he was on an LSD trip since he was only a few weeks old. He’s smart enough to figure out every toy I throw his way and has the wits to always steal the best toys from Arthur. Just the other day he sucked down an entire peach packet in less than a minute and promptly took the other peach packet right out of his brother’s hands. Sharp as a tack that one. I’m going to put Charles in the high 90th percentile. Arthur on the other hand. Well, let’s just say he was stupid enough to have his lunch stolen right from his hands. He may very well be a genius, but if I could get a percentile that tells me otherwise I could get a head start on teaching him how to succeed with limited brain capacity. We all know how possible that is. This might just be me, but I’d really like to know if my kids fart more than others. I assume they are in a very high percentile in this category, as five minutes go by when they don’t let a loud smelly one rip. And at this point I’m proud to be able to tell the difference between the sound of a fart and a poop. That’s a skill I never thought I’d become proficient at but I’d put myself in the 98th percentile when it comes to knowing whether I have to change a diaper or just light a match. If only they had a game show called “Fart Or A Poop” I’d clean up!! Just a little off topic, is there a reason why my farts have started to smell just like my infant children’s? I mean, exactly like them. I can’t remember drinking formula or eating sweet potato corn and apple puree, so I’m wondering what the reason for this phenomenon is. I can only assume my wife has changed up their diet while I’m at work. Other specific situational percentiles I’d like to see. To sum up, I’d like some organization to give me some hard numbers that either shows me that my kids are better than others OR lets me get a head start on the combating their deficiencies. I can’t do anything about height. I don’t think I can anyway. I’ll end by putting myself in the 60th percentile as a Dad. I think I’m better but everyone hates a braggart. As far as this post is concerned I’d put it in the 32nd percentile, but only because I included photos. You know how I know my boys are special. Because although they received the whooping cough vaccine, which is 95% effective, they still got whooping cough. That’s means they’re in the elite 5% of babies who laugh in the face of modern medicine. Their sickness will be reflected in these results. January 23 – Least Favorite is Arthur. He got the whoop first. We didn’t know what it was at first but he was patient X in the house. As the spreader of the virus he’s the easy choice. January 24 – Least Favorite is Arthur. The doctor suspected he may have the whoop, despite being vaccinated. Way to go, Arthur. January 25 – Least Favorite is Charles. Charles now has the whoop. He’s a much worse patient than his brother. Sucking the snot out his nose seems a lot like the waterboarding scenes I saw in Zero Dark Thirty. January 26 – Least Favorite is Charles. Arthur is not only a better patient but when he laughs he’s got that phlegmy chuckle that makes him sound like an old guy in a dark dive bar. I find that charming. Charles can’t compete with that. January 27 – Least Favorite is Arthur. Charles has developed a raspy voice that reminds me of Bruce Springsteen. Sorry, Arthur. No one can compete with the Boss. January 28 – Least Favorite is Arthur. Charles had a higher fever so I gave him pity points. Neil, I’d put your ability to contact me in the 1st percentile.